if-notNow, if-then-when-else www.alintakrauth.com/ifthen is an interactive 3D html5 piece that looks at the theme of climate change as an environmental disruption, through the lens of glitch art and code poetry. The piece opens on a page of movable squares, purposefully reminiscent of digital pixels, but moving and squirming, much like watching people move through a city from above. 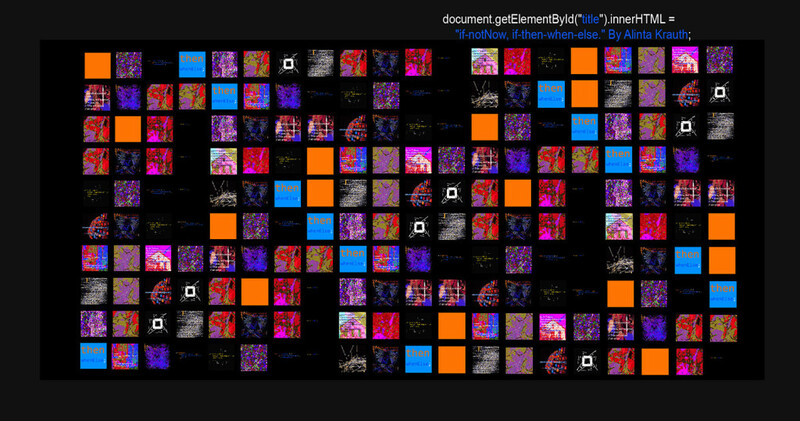 These boxes can be clicked on to zoom in and back out again, in order to read the coded and glitched poetry. Both glitch and code are clear visual examples of what goes on behind the scenes in a digital world, and here this is juxtaposed with real-world human-made disruption. In the artist’s native home country of Australia, where the glitched footage is taken, this constant tug between too little and too much rain is now experienced on a yearly basis, and the poetry within this piece reflects that sense of too little vs. too much through the cause and affect relationship of “if-then statements” – a particular cause and affect coding statement. Visually, if-notNow, if-then-when-else is an overload of visual stimulation – flashing colors and fast-moving text that simultaneously shows disorder within order, and order within disorder. It is, at times, difficult to read, as it purposely forces the reader to stay on each box for some time in order to read each line and de-code the glitch, making for a more intimate and longer-lived experience. 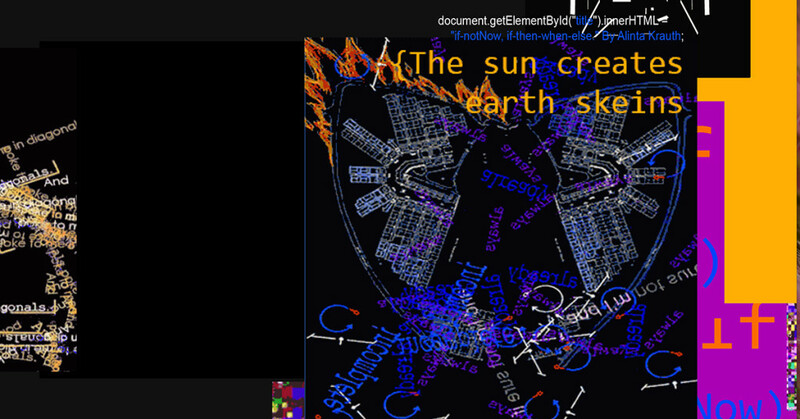 It includes metatextual and self-referential layers—the code that shows itself through text and image. 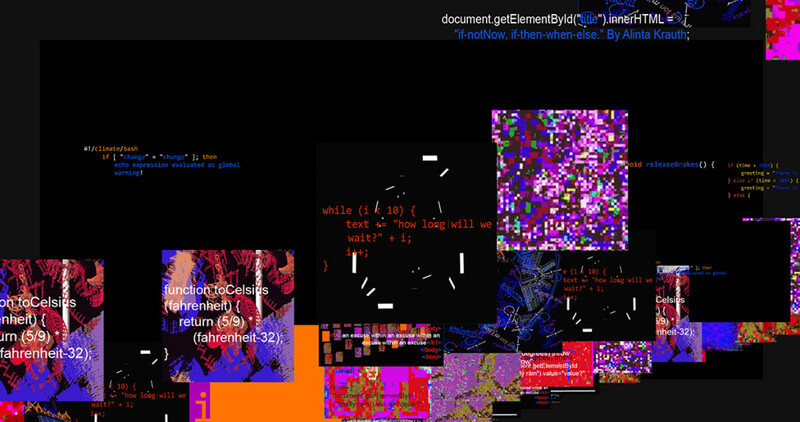 if-notNow, if-then-when-else also includes a glitch sound poetry soundtrack created by the artist, made from glitched spoken word. In this way, this piece explores ideas of meditation within over-stimulation and synesthesia, and how this relates to our changing environment.